AT dsport WE INSPIRE, ENABLE AND ACHIEVE. 1 in 4 New Zealanders identify as disabled. Our passion is giving everybody, of every ability, the opportunity to reach their full potential. We inspire disabled people to become involved in sport and active recreation by showcasing opportunties and pathways. We enable by making it easy to become involved and by providing funding. And most importantly, our members achieve. There are a wide range of sports and activities we facilitate for our members. The dsport Youth Group is for 5-18 yearolds. Triathlon is a popular NZ sport and involves 3 disciplines, swimming, biking and running. You can compete in triathlon as a recreational competitive athlete, the choice is yours. Congratulations to Corran Hanning and Jack Lewington who both broke records at the NZ Secondary Schools Athletics Association North Island Championships in the weekend in Tauranga. The future looks bright for both these athletes. 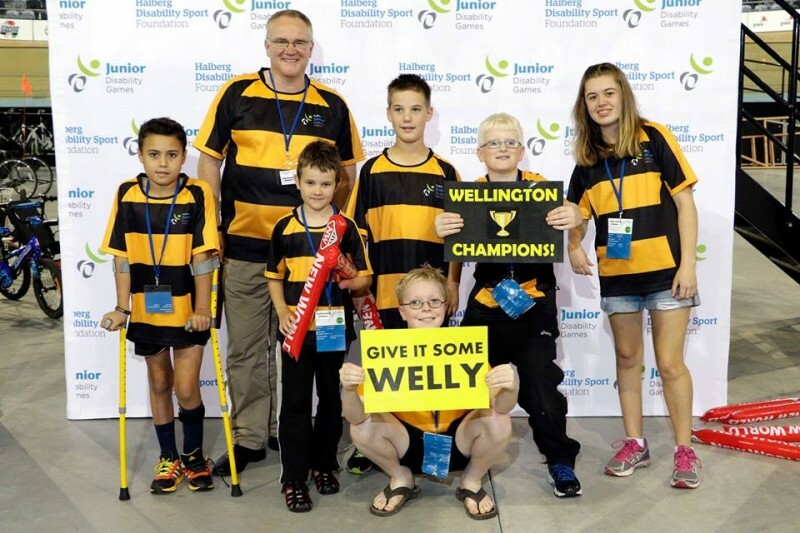 The 50th AGM for Parafed Wellington (now called dsport) will be held on Saturday 6 April at 1pm. The AGM is being hosted by Laura Fergusson Trust. We are holding a joint AGM and Youth Group session. The will be the usual AGM requirements as well as a nice afternoon tea and fun activities for the Youth Group. If you are interested in standing for a position on our committee, please email us by Friday 29 March and we'll send you the form to complete. Lets have a huge showing of dsport athletes at next years games.